Hospitality brands are dying to learn the secret to Airbnb’s success. (Hint: it's about more than marketing to Millennials.) Explore the core needs Airbnb's business model is meeting... and see what traditional hospitality chains are missing. Airbnb is now valued at a whopping $31 billion – a figure almost on par with the largest hotel chain – and it’s not expecting a slowdown anytime soon. Naturally, Airbnb’s meteoric rise has hospitality brands talking. Many credit the company’s ability to target Millennials as the main reason for impressive earnings and have begun incorporating more technological advances into their offerings in an effort to compete. In reality, the secret to Airbnb’s success is more sophisticated than generation-based marketing alone. Put simply: Airbnb taps into unmet needs that virtually all consumers have regardless of age – needs that traditional hospitality chains have largely overlooked for decades. By understanding why Airbnb is successful, hospitality brands can reposition their offerings to better serve customers of all ages. 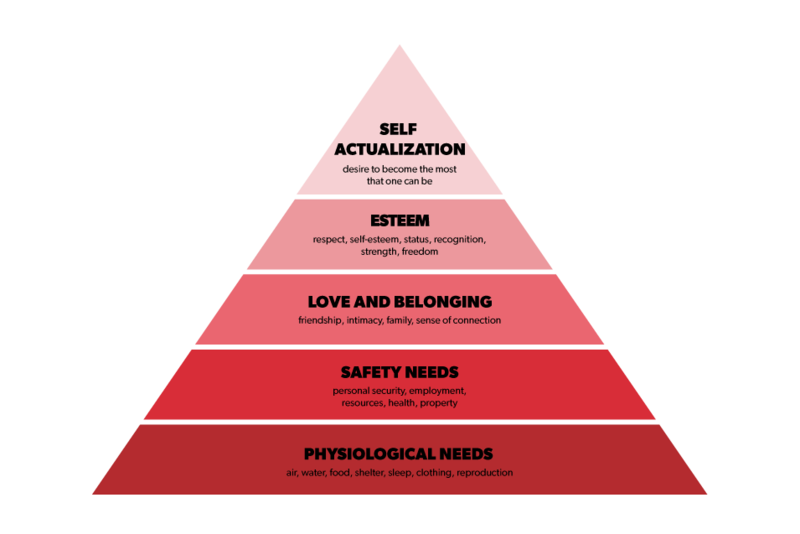 To truly decode the recipe behind Airbnb’s success, look no further than Maslow’s Hierarchy of Human Needs. The framework states that humans of all ages, cultures and political beliefs have universal needs. Our behavior and the decisions we make are motivated by these needs, which range from basic survival to positive growth and betterment. Airbnbs offer a private space to cultivate social belonging while traveling. Since they are typically private homes, they likely have a private shared space or living room, enabling travelers to connect in an intimate and comfortable environment. On the other hand, most hotels only have public spaces where guests can socialize, and these are often noisy, potentially intrusive environments. Unless you’re splurging on a suite, your only shared spaces at a hotel are the lobby, restaurant, or if you’re lucky, a concierge lounge. For guests traveling together, hotels can compete by offering the ability to reserve private lounges or promote a bundle with a suite and economy rooms. Hotels are also uniquely positioned to foster guest connections with events that promote interaction, such as cocktail hours, co-working spaces, or kid-friendly activities/crafts. Offering workout classes can be an affordable way to reposition a standard fitness amenity to one that incorporates social connection. ESTEEM: Competence, achievement, and independence. Airbnbs empower guests with choices. The platform offers the ability to choose a space that best fits the guests, and the private space is more likely to be setup with amenities that foster independence. Free parking gives travelers the choice of renting a car or relying on public transit. A fully stocked kitchen allows for the choice of eating in or out during snacks or mealtime. Hotels that give guests a one-size-fits-all experience are limiting options by making travel more cumbersome and creating a less autonomous environment. Instead of spending money on tech gadgets that promise the convenience of towel delivery, focus efforts on creating an environment that inspires a feeling of achievement and independence. In other words, give the power of choice to the guest. All-inclusive resorts achieve this by providing dining options so guests have the freedom to choose from multiple options. Hotels can play on this technique by designing different spaces tailored to different consumers. For instance, a business traveler could choose a room with a desk, while a family might prefer to have a couch. This power of choice, however small, can give guests the feeling of independence while traveling. Hotels often look the same, whether in Tokyo, Rio, or Boise. You can expect the same scented soap from a hotel chain in any corner of the world. This might be comforting to some, but Airbnbs are gaining traction because they give people a cultural experience before they even step outside the room. 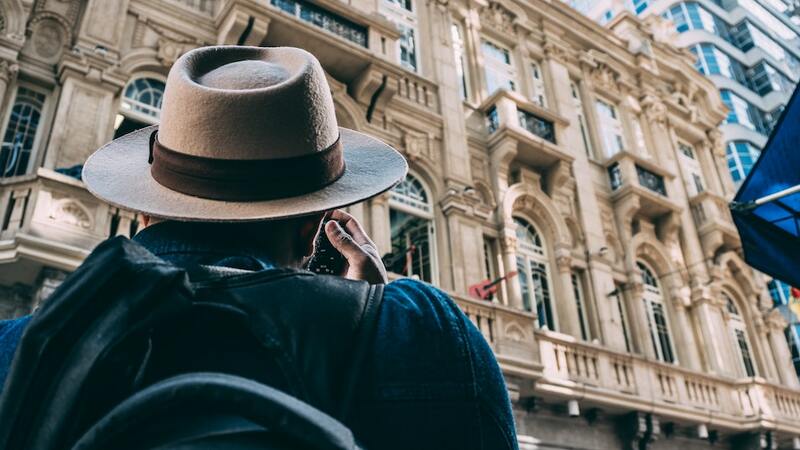 People are spending more money on travel than ever before, in part because seeking out new and authentic experiences is more rewarding than buying new products. Hotels offer peace of mind when traveling; the standard amenities provide a standard, albeit reliable stay so guests don’t need to worry about their AC breaking and can spend more time enjoying the culture. Small features that incorporate cultural details can elevate the experience and give hotels a leg-up on Airbnbs. Consider highlighting local elements in the design or even in the selection of toiletries. Bring local artisans to the hotel lobby for a boutique craft fair or encourage guests to try local flavors in the room service menus. Quelch curiosity by complementing these experiences with an educational component; provide a description and history of a certain flavor or ingredient, for example. By creating a unique environment, guests will satisfy their needs to experience the world through their hotel stay. These needs are universal, but specific desires can change depending on whether you’re a business traveler, taking a family vacation, looking for a romantic getaway, or are a millennial. Instead of adding hotel perks that follow the latest trends, it is key to prioritize changes that will meet the needs of your guests. Digging into the motivations of why consumers are staying at hotels will be the only way to survive– and thrive– in this changing economy.